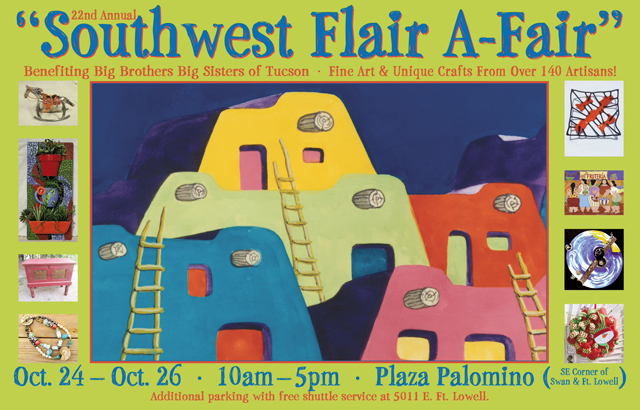 The last weekend of this month, October 24, 25, and 26 (Friday, Saturday, and Sunday), Big Brothers Big Sisters of Tucson will host its Southwest Flair A-Fair at Plaza Palomino. 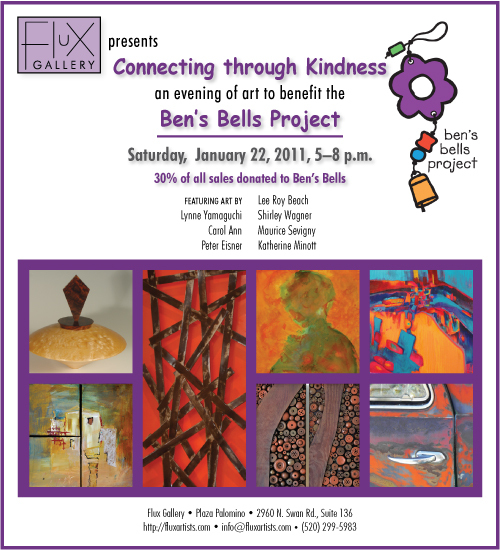 This fine-art-and-craft fair, which benefits BBBS, will feature the work of more than 150 artisans—including me. It will be open from 10 a.m. to 5 p.m. each day, with free parking nearby and free shuttle service to and from the fair—just look for the signs. 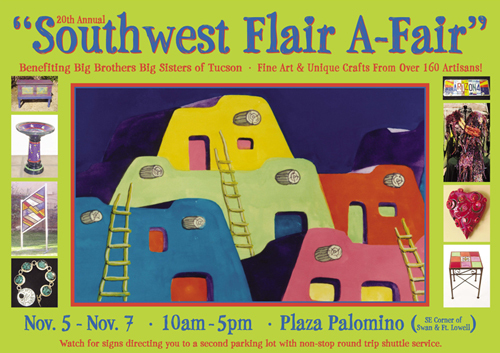 Plaza Palomino is located in Tucson at the southeast corner of Swan and Fort Lowell Roads. 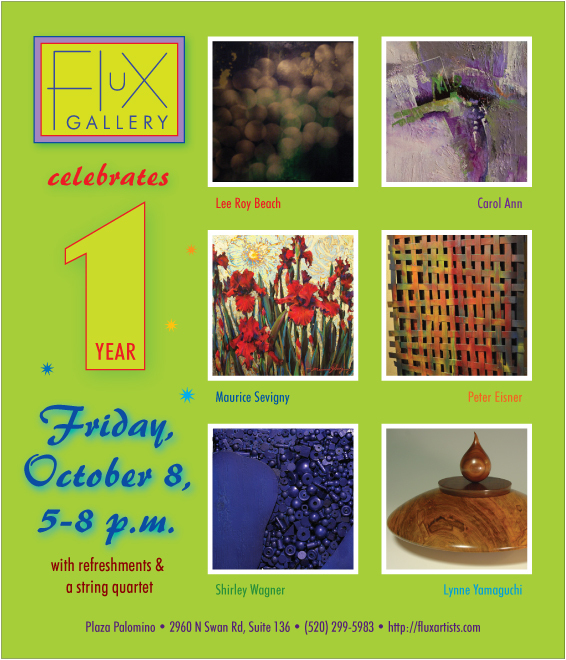 I will be in Booth 86, in the east parking lot, near La Placita Cafe. Add some creativity to your holidays while you help improve some children’s lives! 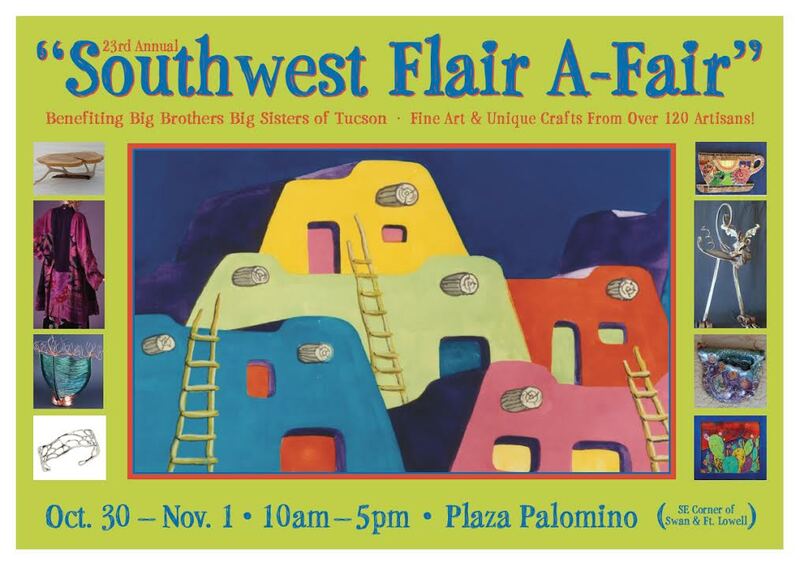 The Big Brothers Big Sisters Southwest Flair A-Fair is coming up soon, November 5 to 7 (Friday–Sunday), 10 a.m. to 5 p.m. each day, at Plaza Palomino. 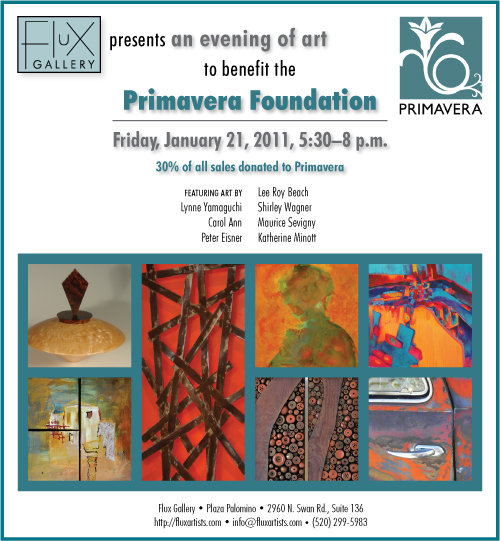 It’s an excellent chance to get started on your holiday shopping while supporting a terrific cause. I will be in my usual location, booth 88, in the east parking lot, close to La Placita Cafe. 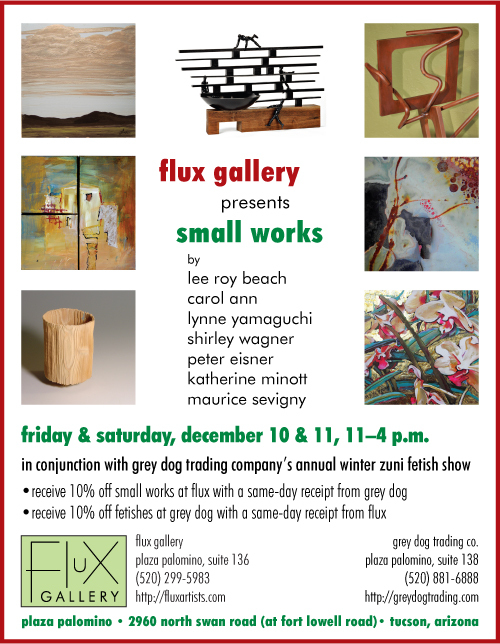 I will also have work up in Flux Gallery in the plaza.